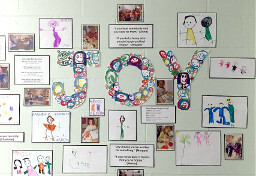 Respecting the blessing and potential of all children, Trojan Tots Preschool is committed to laying a foundation for the children we serve that is rooted in the teachings of Jesus Christ and supported by inquiry learning through a flexible, project-based curriculum. 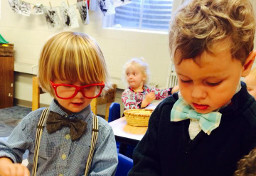 This growth and development nurtured in each individual child contributes to the spirit of the Bishop Chatard community while preparing the children to begin their journey to become well-rounded in faith and inspired life-long learners. 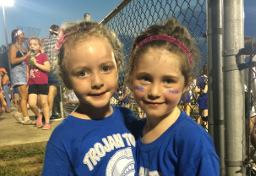 Trojan Tots Preschool was created in 2008 to provide affordable, high-quality Early Childhood Education services and preschool for children, ages 6 weeks to 5 years old, of employees of Bishop Chatard High School as well as employees and parishioners of North Deanery Parishes. We are dedicated to fulfilling the mission of Trojan Tots Preschool by creating a safe, loving and exciting learning environment for these children. 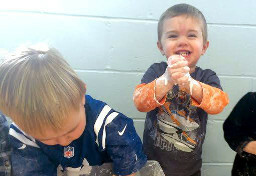 Trojan Tots Preschool is located in the St. Benedict Center on the campus of Bishop Chatard High School. The Director of Early Childhood Education at the preschool is Jackie White, BCHS Class of 2001. 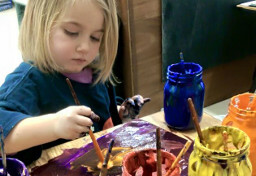 The teachers of Trojan Tots Preschool implement a flexible, child-led curriculum based on the Reggio Emilia Approach and the Project Approach to learning. 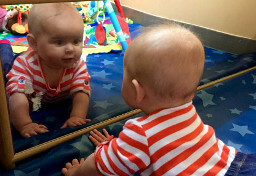 Children participate in developmentally appropriate activities planned by the teachers through careful observations of the children’s own interests. Our Faith Focus curriculum is a school-wide, monthly curriculum centered around a faith-based topic. Our Faith Focus studies in years past have included Saints, Virtues, Bible Stories, and the Fruits of the Holy Spirit. Children are divided into four classrooms based on their age on August 1st of the current school year. Children remain in the same class for the entire school year (August-May). Classrooms are: Freshman: 6 weeks – 12 months, Sophomores: 12-24 months, Juniors: 2-3 years and Seniors: 3-5 years. We are open Monday through Friday, 7:00 am to 5:30 pm through the school year. 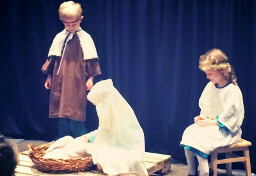 We follow the Bishop Chatard High School and North Deanery school calendars.